We all hear our friends and even sometimes we say it too, ‘’I can do it’ but have we ever stopped for once to actually understand that statement and appreciate what it really means??? 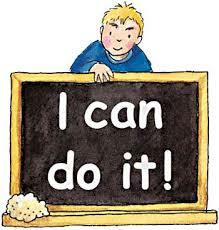 Developing the ‘I can do it’ attitude is the best attitude you can posses. The truth is: it is difficult to work without the right mindset, you find that you lack creativity and you feel stale. Without the ‘I can do it’ attitude, you become unproductive, feel overloaded towards work tasks. Our attitude to work and life is largely our own business so it is much about our own happiness that we can control. The ‘I can do it’ attitude in the workplace helps you to accomplish tasks faster and your work performance increases. Furthermore, your time is managed properly and you tend to have a better work relationship with colleagues, thereby ultimately making things easier and ensuring more successes for yourself. Developing the ‘I can do it’ has significant benefits for an individual in many aspects. Let us look at 6 important benefits of it below. Career success: As an employee, your success in the workplace is measured through your performance, with the ‘I can do it’ attitude, you will always think of ways to accomplishing your task in a well defined manner instead of complaining or finding excuses for non-performance. This results in success either through promotion or increased compensation. 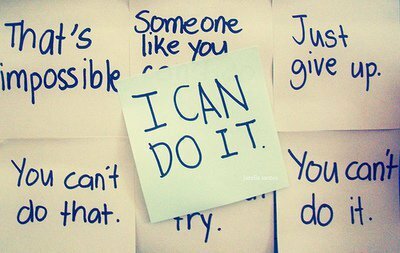 Motivation: The ‘I can do it’ attitude helps in motivating you to overcome obstacles that you may face during the course of your job. It also determines the way you see the world around you. The moment you are successful in overcoming obstacles, you are motivated to move forward. Productivity: With the ‘I can do it’ attitude, you tend to take more interest in what you can do and deliver. Consequently, you produce better quality work with minimum errors. This in turns improves your overall output as well as productivity. Creativity: Creativity is often spurred by a sense of value in what we do. The ‘I can do it’ attitude is the major trigger to being creative with ideas towards work. You become the one with the creative box when you have this attitude and aren’t afraid to let your creative juices out. Stress management: Stress has a detrimental effect on the health of employees. So how can you cope with it? Stress can be reduced through positive thinking; and with reduced stress, and you begin to enjoy better health and take fewer sick leaves. Decision making: Having an ‘I can do it’ attitude enables better decisions via an objective process. It triggers a healthy thought process that will catalyze your to choose wisely and logically. Having the ‘I CAN DO IT’ attitude at work can help you get a promotion, succeed on projects, meet goals, and just generally enjoy your job more. Thus, developing this attitude is beneficial not only to the organization, but also to the employee as it ensures that one maximises their full potential. Wishing you all a productive and successful February!! !